T-shirts are a great part of any wardrobe. They come in all different styles and colors, they are easy to wear and comfortable and, to many, the perfect beginning to a fun craft. Cannot stand a blank shirt? 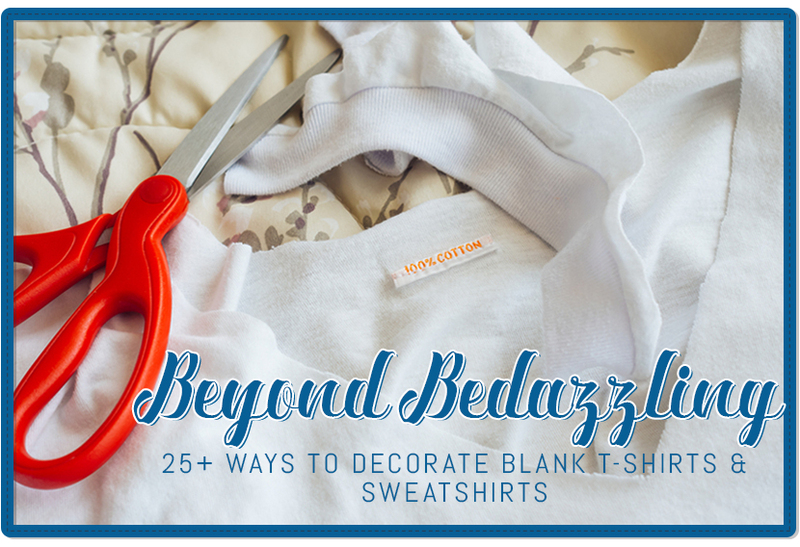 Keep reading to get lots of great ways to decorate and redesign new or old tees. Many of these projects require new, blank t-shirts and may need a neutral for you to add your own color, but most of these will work with any hue. If you live to do-it-yourself, just want to give some personalized gifts or maybe ended up with a few too many shirts after a big order, these are great solutions. You may not want a traditional, tie-dye shirt in your wardrobe, but still like the idea of dyeing a shirt. No worries – the craft blogs on the internet have some wonderful projects you can try as summer winds down, and you get ready for fall. First, you can use flowers as a dye. The petals transfer a light, soft version of their color onto the fabric as they are crushed up in a tightly folded garment. This is a great way to use up flowers after a wedding or party, as you do not need to have fresh cut blossoms for it to work. Stop by your florist and ask if you can have some rejects and try it. Want to use traditional dye but do not want to go to Woodstock? Try this unique approach from Martha Stewart. She focused on only dyeing parts of the shirt instead of the whole thing, giving it a toned-down, grown-up look. No one will mistake you for a die-hard Phish fan, but everyone will think you spent a lot more than you did on this lovely, long-sleeve tee. Vlogger Elemental Leaf Expressions puts the local flora and fauna of Australia center stage with her great projects. 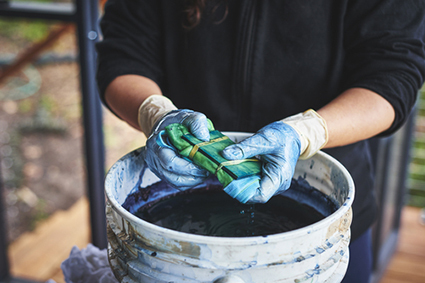 She pre-soaks her leaves in metallic water to bring out the deep, dark dyes inside them, and then uses them as patterns on light-colored shirts. Her work is different in that she creates an actual pattern with the shapes and textures of the leaves, and then teaches you how to do it. The result is like no other dye project you may have tried. For this one, you may want to start with a white t shirt to help bring out all the soft, muted tones. Discharging fabric, or slowly releasing its color is another unique way to print your clothes. This article shows how one woman sprayed bleach over cedar boughs on a piece of fabric to make a completely new look. It is a quick and easy technique that can be used over any variety of plant or another unique shape to create a whole new pattern. If you want a more straightforward bleach pattern, this fun chevron look comes together equally fast, but offers a more modern look. It is especially nice on a soft, coral color. A refashion takes a piece of clothing that is older, too big or just the wrong color and makes it work. Never tried it? A nice, oversized grey t shirt is a great place to start for your first one. You will not recognize it by the time you are done. All Day Chic, a wonderful refashion blog, shows how some simple sewing can turn a too-big t-shirt into a comfortable, flirty dress than even a beginner can make. She adds an optional patch to the back, but do not feel obligated – add something that makes it truly yours. 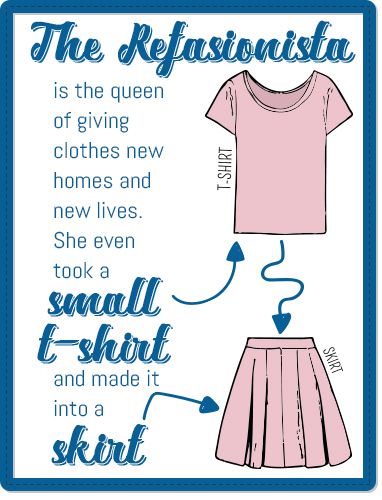 The Refasionista is the queen of giving clothes new homes and new lives. She even took a small t-shirt and made it into a skirt for her next wine tasting. Her projects also require minimal sewing, but this project is just two quick seams down the sides. Love Megan is a great blog that is all about looking fabulous without the effort or cost of being high maintenance. She loves to refashion a good t-shirt and has several articles about how to make an old shirt new or even dressier. A tee can become a crop top or a vest in a few minutes with no sewing. For no more no-sew projects, Trash to Couture has you covered with a quick, five-minute-makeover of a t-shirt you will be wild about. With this simple project, that cheesy shirt you bought on vacation will become your favorite top. WobiSobi, the hub of refashions, has a beautiful lattice shirt project for those of you who want something that looks expensive but costs nothing. This project will not need a sewing machine, just lots of patience and some silver studs. Michelle Ng has a great way to turn a plain grey t-shirt into a gorgeous halter neck, complete with a lace collar. This is almost a no-sew project – you will only need to stitch up the edges to avoid any stray threads unraveling. The result is an elegant top that looks easy and refined. For a more challenging craft for your machine, try this unique project that turns a shirt into a sleeveless summer top with pockets. The completed look could easily be straight from the rack at a high-end store, but can be made in an afternoon. You will need some elastic and some sewing experience for this one, so if you are not a pro, you may want to ask for help. If you love that look, you will flip over this basic sewing project that turns a too-big shirt into a beautiful peplum piece. The shape is much less boxy and more flattering than a basic tee and again looks a lot more expensive than it is. It is perfect for your next job interview or just a day at the office. Have a blank sweatshirt that is a pretty color but a little too boring for your taste? This quick refashion will turn any plain piece into something special with the help of a few snips and ribbon. Unlike the last two projects, this one is beginner friendly and great if you want to make something a little sassy. If you have a sweatshirt you want to turn into something completely different, try making a pea coat. Not for beginners, this tutorial walks you through how to make a low-priced sweatshirt into a great little coat for winter. The big buttons make it look authentic, and the soft material makes you want to wear it constantly. If you have got a sweatshirt that’s a little too big for you, this tutorial shows you how to take a big, boxy shirt and make it feminine and fitted with some basic techniques. The author added some very cute wooden buttons to one shoulder as a special touch, but they are purely decorative, so feel free to skip that part. 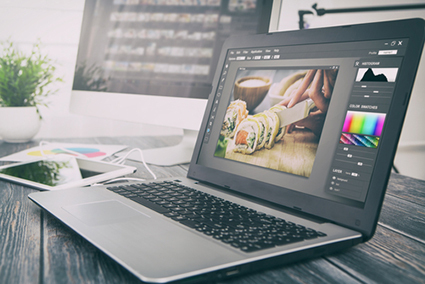 Are you a whiz at Photoshop? Do you love to take pictures or just have a killer Instagram account? Take some of your favorite images and put them on plain shirts to make your own unique collection. You can take advantage of your local print shop and add your favorite drawing to a blank shirt if you do not want to do the printing part at home. Just make sure your sketch has clear lines and is on a nice, clean background, then ask your local screen print shop if they can finalize it for you. This shop is one of many that is happy to do just one shirt if you want something truly unique that also lets the world know how talented you are. Want to do it all yourself? You can get it done in your garage or workshop with the help of some basic tools. A screen and frame, photo emulsion, a light bulb, fabric ink and squeegee will cost you about $60, depending on brands and sizes. Once you have your own set of tools, follow this tutorial for a basic screen print of your design. Keep your lines clean with cheap, low-tack masking tape, and you will not spend much time cleaning up leftover residue. If you just want to do a basic image transfer, you can try this tutorial instead. It is less labor intensive and a bit easier on the wallet, perfect for those of us who just want one t-shirt, not a small business. Not everyone is happy with a basic photo or print on their shirt. They want to add a special touch to make it stand out. If that sounds like you, grab your rivets and your leftover lace for some fun. First, you can make a navy-blue sweatshirt into your favorite new piece by adding a cute lace-up detail to the front. Merrick’s Art, a wonderful refashion blog, has an easy tutorial on how to do it on your own, (scroll down) and shows you how to style it once it is done. 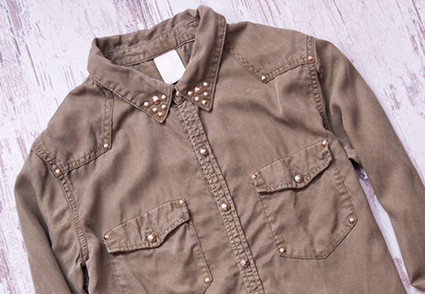 If you live for metal studs, this fun rivet shirt is a low-key way to play with your favorite accessory. All you do is mark out where you want the little guys to go, then push them in through the fabric. This is a good one to make several copies of to give away as gifts, as that they are cheap and easy to put together. Lace can be a great way to breathe life into an older piece or make a new one a little more unique. This easy tank top with lace sleeves is a great way to start. Just find lace that matches (or almost matches) the original shirt and watch it transform with the help of some soft, fluttery sleeves. Want to try it with a sweatshirt? You will be amazed how much softer and prettier a basic sweatshirt looks with a little detail on the sleeves. Follow this tutorial to see how it is done and then wait for the compliments. Love bling? Try adding a jeweled mesh to your shirt’s collar. You can order them pre-made or bling out the mesh yourself if you prefer. Either way, it is an easy touch to add to any neutral shirt that turns it into something special. If glitter is what makes you smile, Trinkets in Bloom has you covered with an easy and low-stress sparkle-filled painting project. The example shows a fun and modern graphic design that mixes black paint with equally dark sparkles. The two are mixed and then applied to the front of the shirt in large, bold shapes that update it into something special. This is a fun one because there is no stencil, so paint your shirt however you like. You can also use a glitter transfer and a few quick cuts to a sweatshirt to make a fun, fashionable off-the-shoulder party shirt. This project comes together quickly and only requires a plain shirt and some cheap craft supplies to help you pull it off. If sequins are what get you excited in the craft store, this project from A Beautiful Mess will help you celebrate your sparkle addiction with a quick, fun project that uses sequin trim to write out a silly message. Fabric glue holds it on, and a stencil with the word you want to be written out in your favorite font helps you make the word of your choice look professional. Turn a plain sweatshirt into something that is just plain beautiful in a couple of hours. Can’t resist the pull of jewels on a shirt? You can use some basic, craft gemstones and fabric glue to have at it. This fun tutorial shows how to accessorize a plain, neutral tee and make it dressy for your next event. Best of all, you can do it on your own and focus on your favorite colors and patterns. There is nothing quite like a project you can take on yourself to make a piece of clothing extra special.